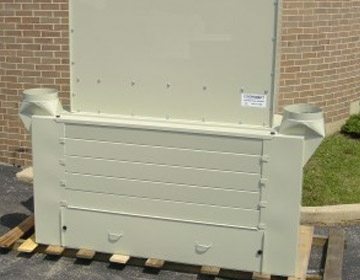 A unique “Louvered” design makes this unit ideal for individual use or used in “walk-in booths.” Made for easy sludge removal. 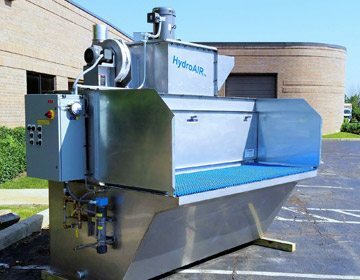 These Collectors (often customized for tough requirements) offer high static pressure capabilities and numerous options for Self Cleaning. In Stainless, life expectancy can be 50 plus years. 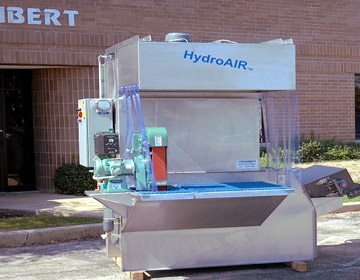 This Cassette designed removable Sludge Ejector is extraordinarily heavy built and represents the sturdiest quality in the under 20,000 cfm unit market. 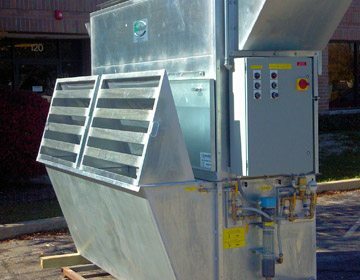 The 4,000 cfm unit uses same chain as most other 20-40,000 cfm units. 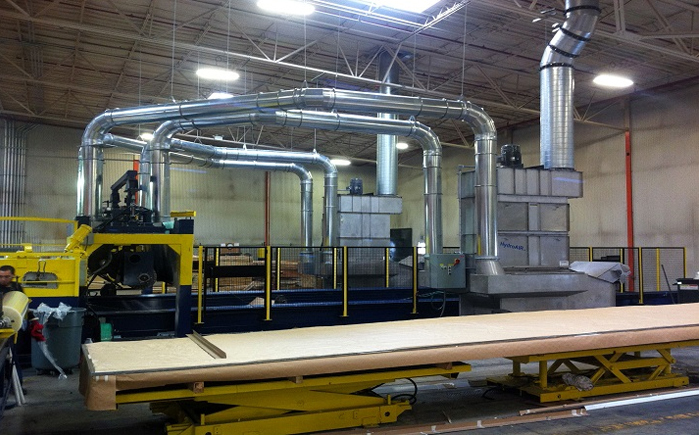 These Unit are 99.97 % efficient on Sub-Micron Dusts and Smoke. Used in Booths or Open Areas for Silica, Welding, Grinding and other difficult applications. Auto or Manual initiated Pulse Self Cleaning. 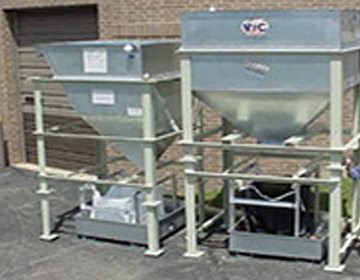 This Low Profile Collector is completely assembled and shipped in a Semi Trailer for easy quick install on applications up to 6,000 cfm. Auto or Manual initiated Pulse Self Cleaning. 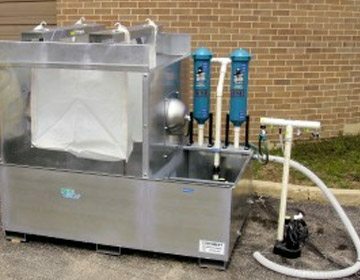 Seeing a need for “entry level” or small shop (12 gpm) Water Closed Cycle Cleaning (Granite, Marble and other Stone Industry), this unit fits in the back of Pick Up Truck. 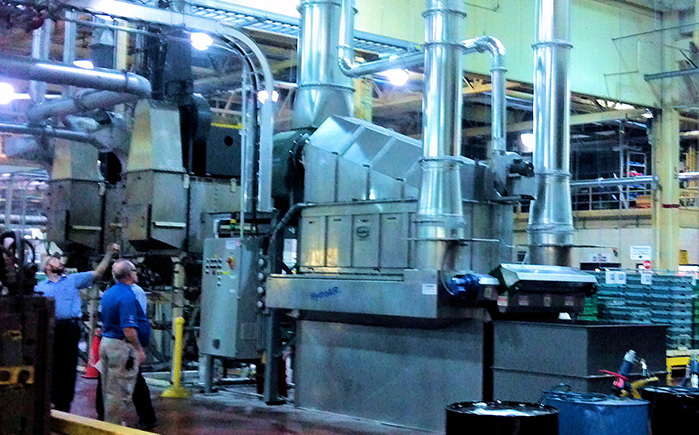 With sizing from 50 to 150 gpm, this FloKLEEN line serves the large applications. Full Pump Packages are available. New Patent Pending Designs addressing Self Cleaning Mist Elimination and Variable Efficiency (and Loading) Insertable Cabinet and Module Designs are soon to be available. 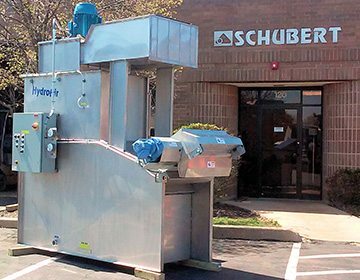 Schubert Environmental Equipment, Inc., trademark ReplaceAIR™, is a leading Air/Water Pollution Control Equipment and Custom Metal Fabrication Company serving many industries and applications. Aerospace, Military, Exotic Metal Machining, Metal Fabrication, Artificial Joints to name a few. Owner, John Schubert, is a degreed Engineer with more than 44 years of experience in the Industrial Air/Water Pollution, Dust Control and Ventilation fields. 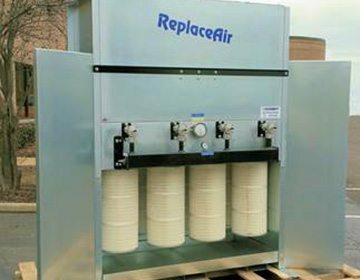 ReplaceAIR is committed to bringing valuable and smart solutions that meet or exceed Customer expectations with each and every order we receive. 2. 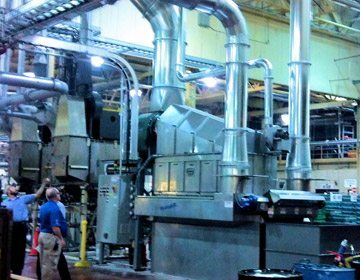 Schubert Environmental is always looking for more ways to improve our delivered systems. If there is a way to make the Equipment more efficient or user-friendly, ReplaceAIR will take that step.